FORGED RACING Fan shroud are made out of pure aluminum for maximum durability and heat dispersion, provides a cover panel for the radiator fan to vacuum all the heat from every part of the radiator to provide way better cooling efficiency. 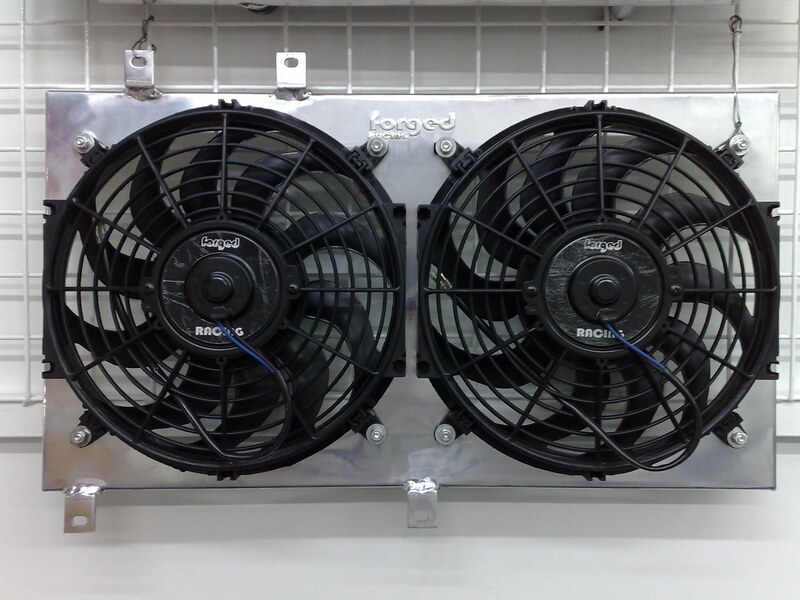 Paired with 2 pieces of 12 inch high performance fans are high quality build and robust to handle non stop operation at high speed. Made out of high quality ABS material for lightweight and durability, curved blade to provide maximum air flow. RPM ranging from 1000 - 1800 depending on the ampere provided to the motor. Slim yet powerful for street and even track usage, easy to mount however this is only pull type. Plug and Play!